Miyazaki to take on Disney, Universal and DreamWorks at Oscars | Tsundere Britannica - UK Anime/Game News and Features! Tsundere Britannica – UK Anime/Game News and Features! I-it's not like I w-want a cup of tea or anything…ol' chap. 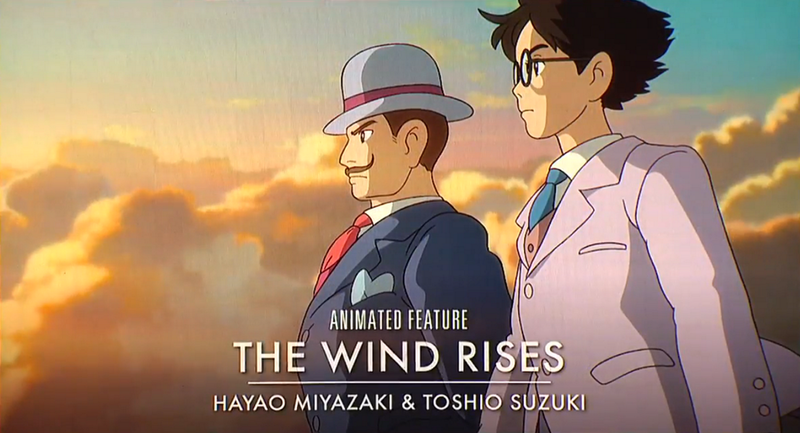 Hayao Miyazaki’s final feature film is a fictionalised biography about Jiro Horikoshi, the inventor of the Mitsubishi A5M fighter plane and his romance with Naoko, a woman suffering from tuberculosis. The movie has courted critical acclaim, having picked up Best Animated Feature awards from a number of awarding bodies including the New York Critics Circle, Toronto Film Critics Association as well as nominations for the Golden Globes and New York Film Festival among others. However, it has also attracted controversy due to the film’s focus on the creator of what would become one of Japan’s most effective killing machines in World War 2. The film will no doubt face some fierce competition, particularly from Disney’s Frozen (which is most likely a favourite to win) and Despicable Me 2. Previously, Miyazaki’s Spirited Away became the first foreign feature to win the Animated Feature Film category in the 76th Academy Awards in 2003 and Howl’s Moving Castle received a nomination in 2005. Sunrise’s short film Possessions, which was directed by Shuhei Morita has also earned a nomination for the Animated Short Film Category. This entry was posted in Anime and tagged Acadamy Awards, Despicable Me 2, Disney, DreamWorks Studios, Frozen, Hayao Miyazaki, Oscars, Oscars 2014, Studio Ghibli, The Croods, The Wind Rises, Toho, Universal Studios. Hatsune Miku: Project DIVA F 2nd coming to the West!